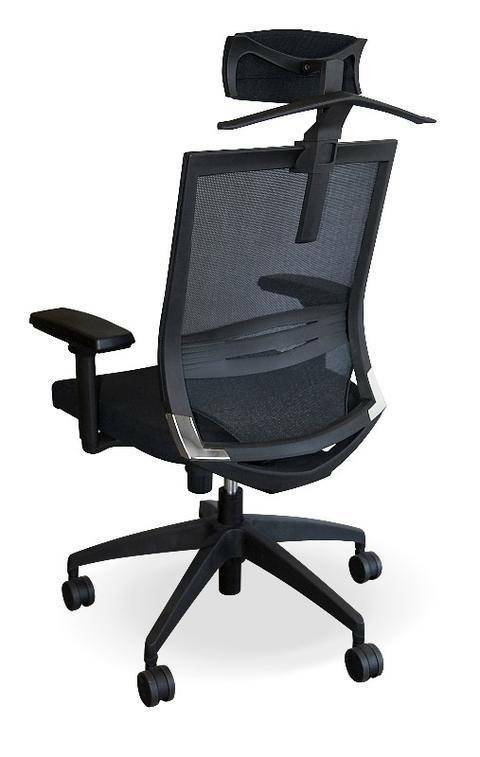 New look office chair is suitable for executive office, home offices, computer offices and is part of office furniture. Gas height adjuster. 5* Black nylon spider base. Adjustable headrest and lumber support. PU adjustable arms (back, forth, in, out, up & down). 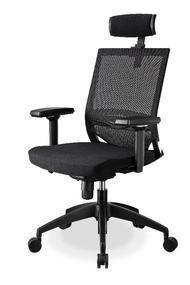 Non woven mesh back and black fabric seat. Black mesh back. Please supply 0.7m of fabric per 2 seats.